A baby grand piano is an intricate piece of musical technology—more complex than some of the computer systems we repair, manage , and sometimes renovate. 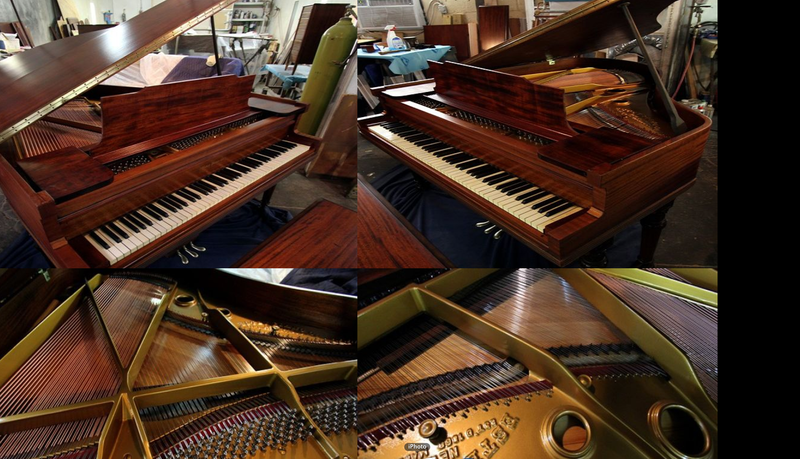 Recently, we needed work to be done on our family piano, an Estey baby grand built in 1929. It is a classic beauty, but it was beginning to show its age, and it needed lots of work. It needed to be tuned, but before it could be tuned it needed to be restored and renovated. Elisabeth, who studied piano at the Boston Conservatory, found the website of a company in West Chester that specializes in the repair and restoration of grand pianos. We are always anxious to pass on good news and to recommend great service providers as we find them, so in this post we are highlighting Sweeney Piano, a family company that has been specializing in grand pianos for 30 years. All of our realtor friends and clients should take note, because many times people who are buying a new home may need to move or repair a grand. We highly recommend the work of Sweeney Piano. If you value your grand piano, and want it treated with care for any needed repairs or renovation, contact the hard-working folks at Sweeney Piano for service you can count on—for yourself, your friends, or your clients. As for us, we now have many hours of enjoying Elisabeth’s playing, and we are always happy to find a service company that shares our values..
aspiring blog writer but I’m still new to everything. Do you have any suggestions for inexperienced blog writers? We don’t reply to very many comments—just a time/workload problem. But thank you for your input. As for suggestions: The biggest problem our clients tend to run into is just sustaining the work…Keeping a semi-regular flow of postings is key. Keeping at it, trying to roll one out no less than weekly, is a good goal..